¹ A GIFT VOUCHER TICKET PROVIDES SINGLE SESSION ENTRY ON ANY DAY. PLEASE CHECK www.sydneysantaspectacular.com.au for dates the event is open and the 3 hour session times available each day. 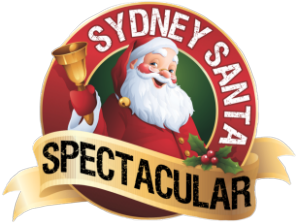 Welcome to the Sydney Santa Spectacular, Sydney’s largest Family Spectacular, operating exclusively at Rosehill Gardens Racecourse this December. We are back, and in 2018 we will be bigger and better than ever before! The Magic of Christmas comes alive with plenty of Christmas cheer to be shared around, with an ultimate North Pole experience and Christmas Fairground. We have your Christmas fun covered with three hours of non stop fun for your whole family! Come along to create magic on Australia's only Double Decker Carousel, decorate your own cookie at Cookie Land, Take a twirl on the real ice skate rink, Watch the elves frolic in Santa's Christmas village! Be amazed by 100's and 1000's of decorations that will dazzle your senses. Fantastic value with so much included in your entry ticket! Create your best Christmas memories with us! Sydney get ready for the best value this December! • Cookie Land where you can custom decorate your own cookie to eat straight away or take home! YUMMY! • Write a letter to Santa! And make a Christmas card for free! • Little elves craft workshop where you can can create your favourite Christmas character! • Snow World's ice skating on The North Pole's spectacular ice skate rink...one of Australia's largest portable ice skate rinks. • Christmas Fairy reading time and Snow Queen stage entertainment NEW SHOW! • Sleigh selfies in front of the big charity tree! • A Magical Walk through Enchanted Christmas Forest with snow falling and a BRAND NEW feature in the North Pole VILLAGE! • Family Amusement Rides and Attractions - lots of rides to choose from, over 12 rides and BRAND new AUSTRALIA'S largest tea cup ride! • Spectacular Snow Castle and Sydney’s Largest bounce and jump Christmas theme inflatable world. • POLAR bear ball pit of snow ball fun! • Food village to buy some delicious lunch and treats! All this value for one low price ticket! Where else can you find that value? 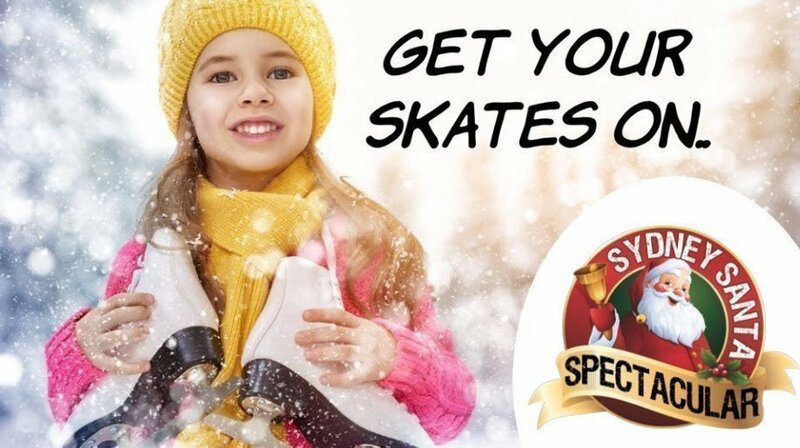 There are no extra costs unless you choose to hire a child aid at the ice skating, buy Santa photos or merchandise, play sideshow games, or purchase food from one of our many delicious outlets. The concept is you don't have to pay for anything once you come in unless you choose too. - Children under 2 are free and do not require a ticket. - Please arrive 20 mins before your session starts. - Skating requires gloves. Ice skate child aid available at extra cost. - Tickets are non refundable but are transferable to other people. Date and session time changes are not permissible. - This is an all weather event. Over 80% of the event attractions are undercover. Refunds will not be given for extreme weather conditions (heat or rain). - Please note we endeavour to have all rides operating for every session on every day - however on occasions rides may require maintenance to ensure safety standards are met, so will not operate at that time.